Located in the heart of Jupiter and within walking and biking distance from the beautiful Florida Beaches, The Bluffs River Homes feature 3 bedrooms, 2 full baths and a 2 car garage. Built by Divosta builders, The Bluffs River Homes all have 1889 sf of living space, split bedrooms, a huge great room and ultimately a fantastic floor plan!. Residents of The River at the Bluffs can enjoy the many amenities including a newly renovated pool, tennis courts, basketball courts, a playground, as well as a nearby dog park. 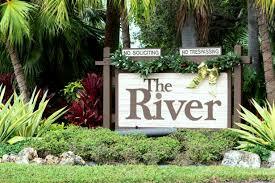 For more information on Jupiter's The Bluffs River Homes, please call or text us at (561) 371-7550, or email TheShattowGroup.